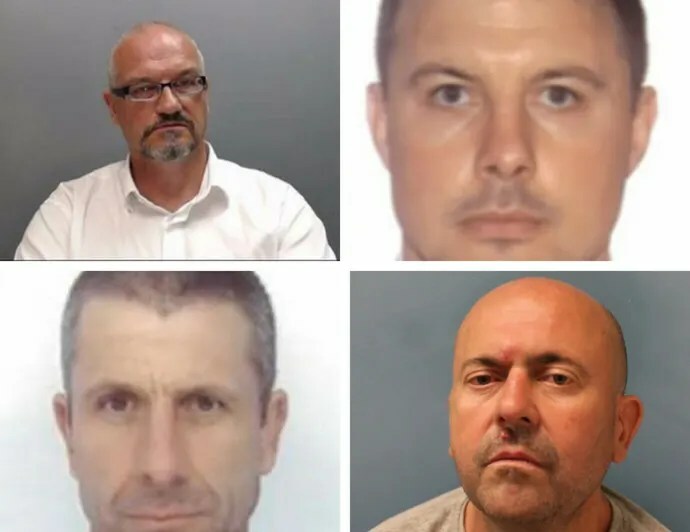 A former police officer, financial adviser and a City trader have been jailed for a total of eight years for a £2.4 million tax scam after an investigation by HM Revenue and Customs (HMRC). Roderick Bond, 59, a former police officer, and Lee Palmer, 45, a financial market trader, invested in the Formula 1 Projects LLP scheme that involved claiming false tax rebates for a film featuring F1 racing stars which was never made. Simon Osborne 58, an Independent Financial Adviser was jailed for his part in introducing Simon Hill, 50, a former Wales international rugby union player, to the scheme. Terence Potter, 58, a disgraced former accountant, created the illegal scheme for wealthy investors with the four defendants. The scheme saw investors claim significant financial losses on the £6 million they claimed to have spent between March 2008 and May 2009. These artificial losses enabled the investors to falsely claim around £40,000 in tax relief for every £20,000 they had invested. HMRC investigators identified a series of suspicious tax repayment claims, which had originated from partnerships set up and managed by Monaco-based accountant Potter. The majority of the tax refunds claimed by investors were withheld and £210,000 that had been paid out has since been recouped by HMRC. “These men tried to cheat the system by claiming tax relief on a non-existent film and were thwarted by HMRC investigators who work tirelessly to stamp out fraudulent activity. Potter conspired with Palmer and Bond to steal the tax cash along with financial adviser Osborne. Osborne introduced Hill, who now works as a dentist, to the partnership and he [Hill] also submitted fraudulent tax repayment claims to HMRC. The members had to show they were working at least 10 hours a week in the business. The claims were supported by individual diaries running to hundreds of pages produced by Potter and sent in to HMRC by Bond, Hill and Palmer to substantiate their tax rebate claims. More than 60 officers from HMRC’s Fraud Investigation Service took part in the operation that led to the arrests in August 2014. Nine properties were searched and computers, business records and mobile phones were seized. Hill admitted tax fraud while Bond, Palmer and Osborne were each convicted of Conspiracy to Cheat the Public Revenue after a trial at Southwark Crown Court. They were sentenced at the same court today (4 June 2018) to two years and eight months each in prison. Hill was sentenced to 20 months in jail, suspended for two years. He also has to do 300 hours unpaid work. Defendants in two other trials linked to this latest case have all been jailed for their part in the scam. Potter, already serving eight years for being a central figure in them all, pleaded guilty in September 2017 to his role in the Formula 1 Projects LLP conspiracy. At a hearing on 3 October, 2017, his sentence was not increased but he was disqualified from being a company director for eight years.